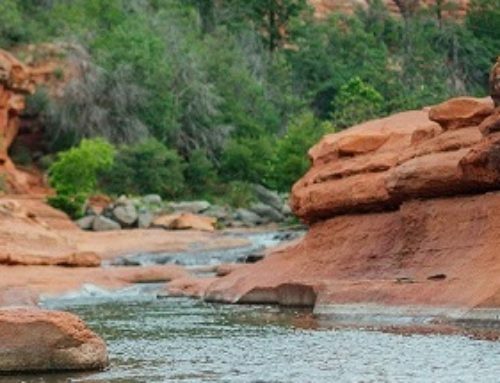 El Portal Sedona Hotel’s intrepid and fearless leader (and owner), Steve Segner, has been given the go-ahead from the city of Sedona to create a “History Walk” along Highway 89A. 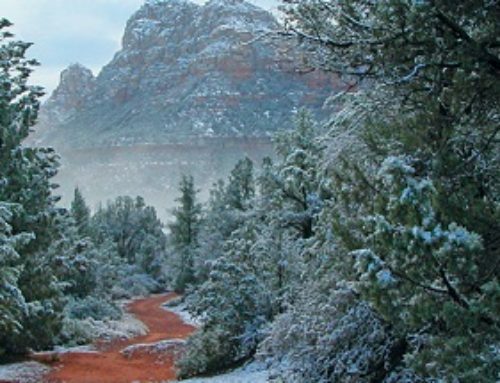 The walk will consist of 25 plaques on the history of Sedona, along a stretch of about 2.5 miles. This project is a one person commission, with many, many local residents and businesses assisting. This is the starting point (where Steve is sitting in the photo left), he hopes to have the project completed by the end of the year! 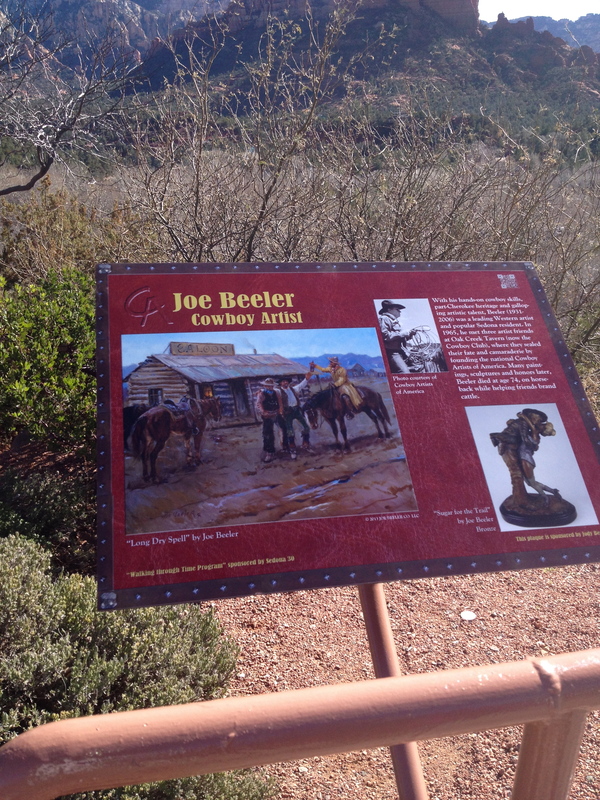 This second photo (below) is the first plaque of the walk; it features Cowboy artist Joe Beeler who was an illustrator, artist and sculptor. 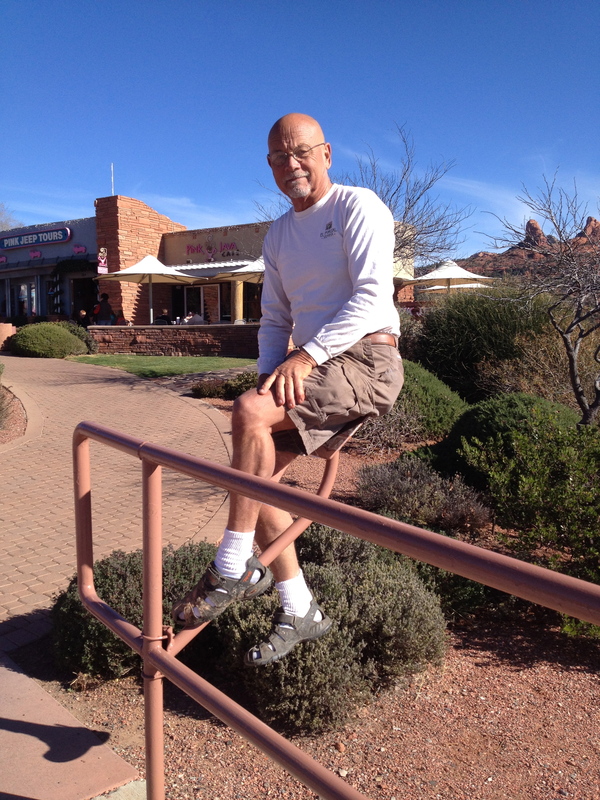 He co-founded the Cowboy Artists of America in 1965. 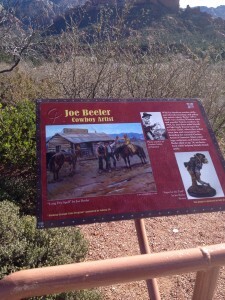 This History Walk will be a very special thing to do in Sedona. Keep your eyes open for updates and new plaques! El Portal Sedona Hotel is located at 95 Portal Lane in the Arts and Crafts district. 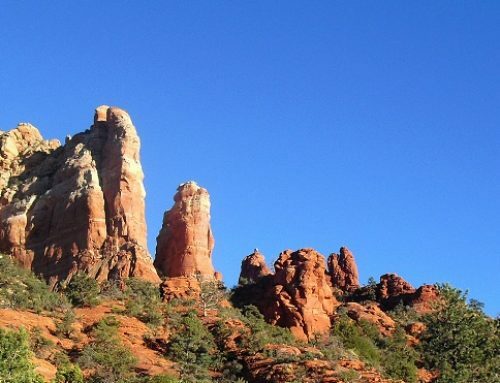 Call the boutique hotel for incredible accommodations on your next trip to Sedona. 1.800.313.0017. Thanks Steve for doing this history walk! Love your hotel too!